UPS Delivery Uniform Toddler Costume.Includes: Shirt,Pant and Cap Wih UPS Logo.Available Size: Toddler (3T-4T), Toddler (4-6). (See Size Chart For More Information)*Shoes and Package Not Included. 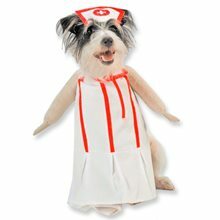 Nurse Pet Costume.Includes: White dress with red stripes, attached arms and matching nurse hat.Available Size: Pet - XSmall (Fits up to 10lbs), Pet - Small (10-20lbs), Pet - Medium (20-25lbs). (See Size Chart For More Information)Care Instructions: Hand wash in cold water and line dry. 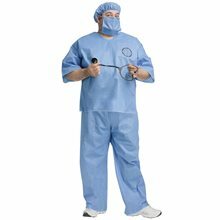 Iron with low heat setting, if needed.A high quality, better fitting outfit from the people who love pets!Made in China. 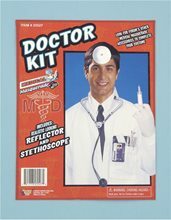 Doctor Set While you might not be a doctor or surgeon , as we all know kids can achieve nearly anything if they put their mind to it.